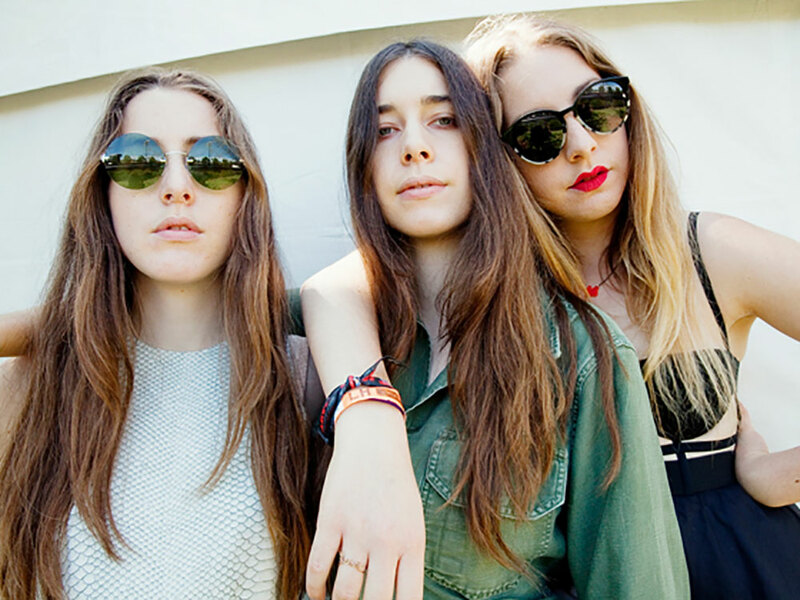 Haim at Lollapalooza. The band will headline the Girls To The Front benefit concert. 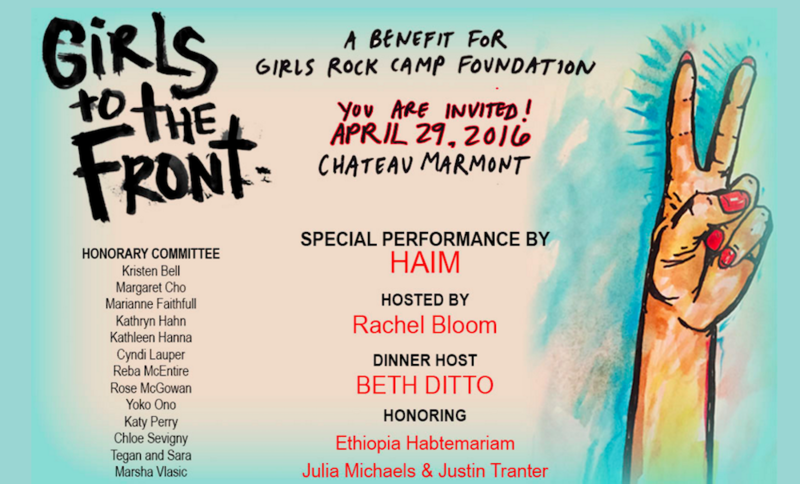 Join hosts, Beth Ditto and Golden Globe Winner, Rachel Bloom on April 29th for “Girls to the Front”, benefiting the Girls Rock Camp Foundation at the Chateau Marmont in Los Angeles. There will be a special performance by girl power, sister group, HAIM, while the event will honor Universal Music Group’s executive, Ethiopia Habtemariam, and songwriting team, Julia Michaels and Justin Tranter. The duo has worked with Justin Bieber, Selena Gomez, and Gwen Stefani. Already, the honorary committee for the event includes a star-studded line up. 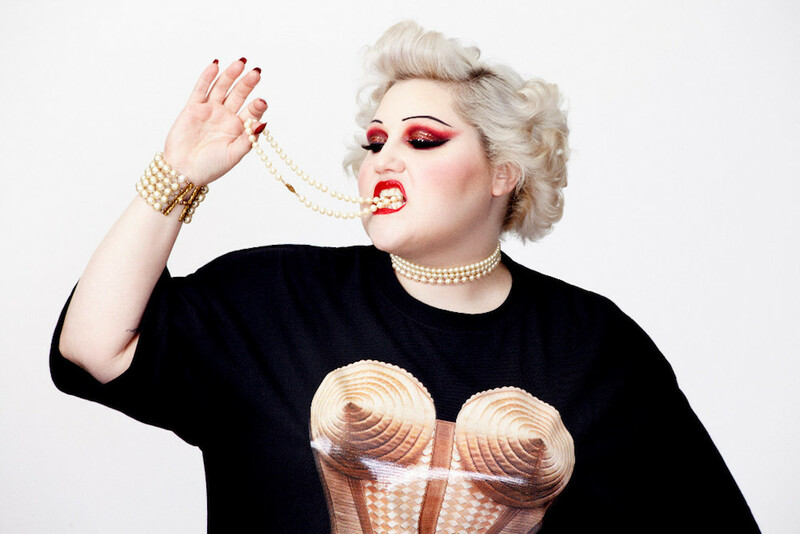 Kristen Bell, Margaret Cho, Marianne Faithfull, Kathryn Hahn, Yoko Ono, Rose McGowan, Reba McEntire, Cyndi Lauper, Kathleen Hanna, Katy Perry, Tegan and Sara, Marsha Vlasic, and Chloe Sevigny have all shown their support for the event. The mission of Girls Rock Camp Foundation is to raise support and funding for Girls Rock Camps, which help girls to develop life skills and creativity through music. Currently there are over forty-four independently run camps in the United States. 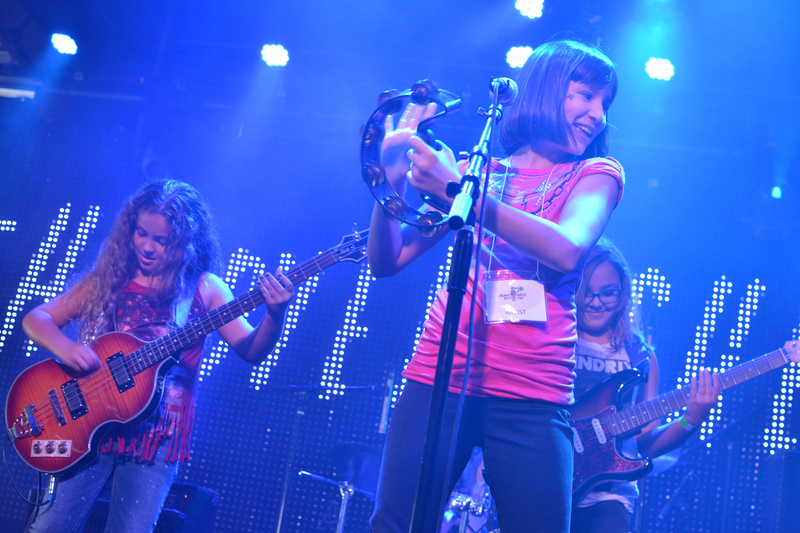 Although the foundation was founded in 2014, girl rock camps began popping up in cities as early as 2001. A few of the first cities to have these camps include Brooklyn, New York; Portland, Oregon; and Murfreesboro, Tennessee. After success in these cities, the camps spread across the United States and also traveled to Europe and South America. Girls who attend the camp are given a variety of opportunities. Musical genres range from rock, hip hop, jazz, folk, and pop music. DJ camps are also becoming popular. Other types of courses offered are in music video production, recording and engineering, lighting and sound design, music journalism and business course, and so much more. This particular benefit will have the option for guests to attend a sit down, VIP dinner in which guests can mingle with the celebrity attendees. A cocktail reception will be held after the event. If you are unable to attend the event, you can also make a donation to the foundation.